If you are struggling with a relationship, feeling down or out of control, then you are in the right place. What many people do is try to sweep things under the rug—or they numb themselves with everything from work, food, or vegging out in front of the TV. If you continue to ignore your problem, it won’t resolve itself and will likely get worse. Hi, my name is Tres Adames. I am a Board Certified Pastoral Counselor and the Director of Arizona Christian Counseling in Peoria, Arizona. I specialize in working with those struggling with emotional and relational issues. 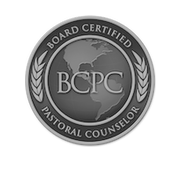 I am certified by the Board of Christian Professional and Pastoral Counselors(BCPC#0791). I received my Master of Divinity (MDiv) from Wesley Biblical Seminary, and Bachelor of Arts from Asbury University. 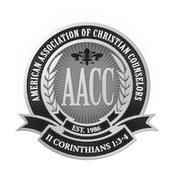 I am on the board of the Pacific Region of the American Association of Pastoral Counselors (AAPC), and a member of the American Association of Christian Counselors (AACC). I previously worked at Arizona Baptist Children's Services and Family Ministries, and taught on faculty at the College of Theology at Grand Canyon University. I seek to be nonjudgmental and unshockable as a counselor. My background and approach is centered on integrating spirituality with emotional health. I want you to feel comfortable opening up about anything you are going through.